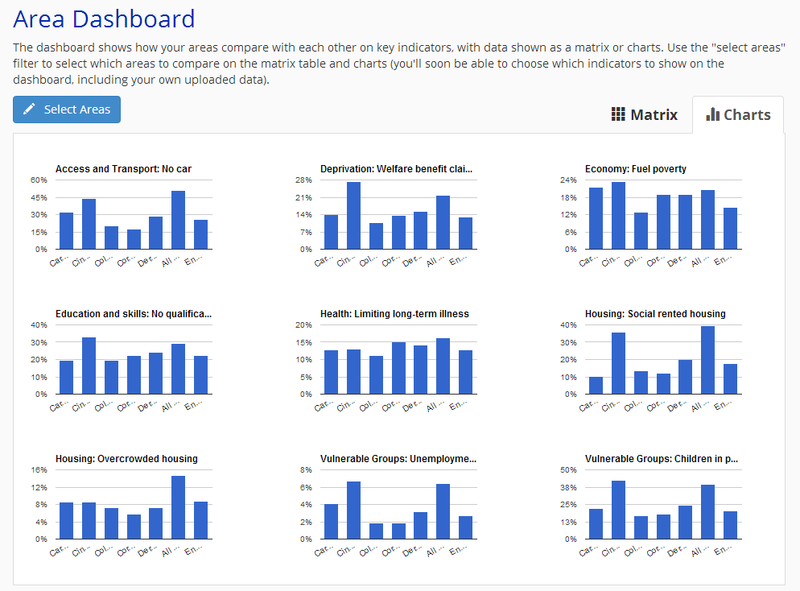 Matrix neighbourhood selection: Users frequently tell us that the ease with which you can create neighbourhood profile reports in Community Insight is a game-changer: it only take a few seconds to define a new area and request a report at no additional cost, which revolutionises your access to neighbourhood data. But you also tell us that on screens like the Matrix this can result in a long list of areas, many of which will only be relevant to a particular project or funding stream, and you do not necessarily want them all showing up. The Matrix now has the functionality to select a subset of your neighbourhoods, which might be useful if you just want to visualise your main patches (or, indeed, if you want a quick matrix view on the set of areas you have defined for a particular project). 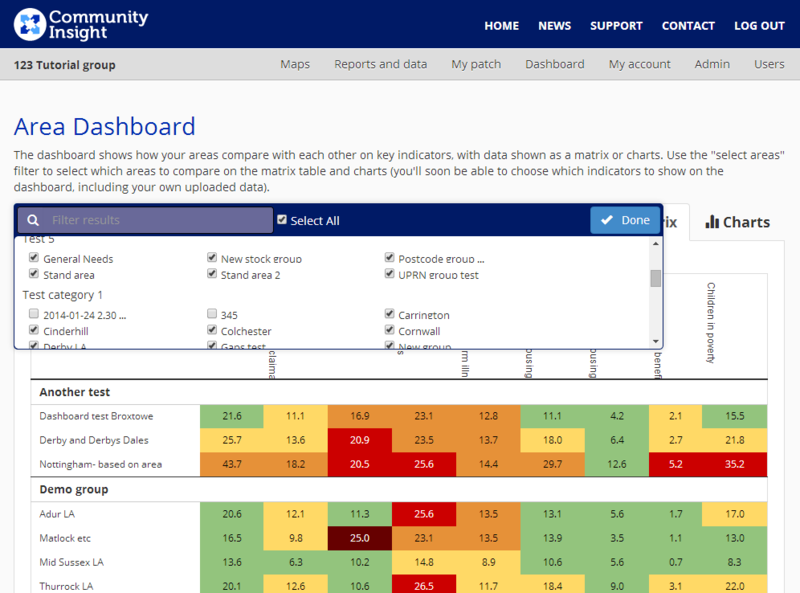 Multiple-area charts: The charting screen of the dashboard previously allowed you to view a set of charts for one of your areas, with fixed comparators alongside. 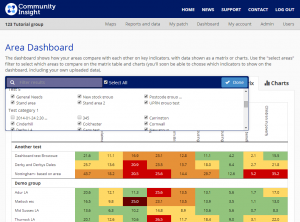 This new upgrade allows users to select multiple neighbourhoods to display on their charts alongside each other. 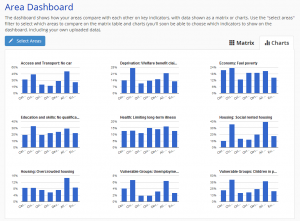 If you are not yet using Community Insight to understand your neighbourhoods and would like to arrange a demonstration to see these new features, please get in touch.